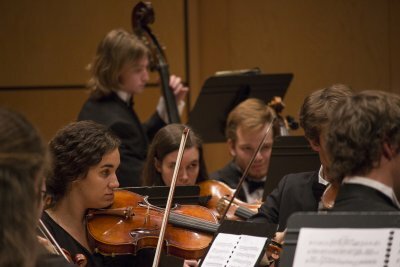 The Goshen College Symphony Orchestra, under the baton of José Rocha, presented their spring concert in the Music Center’s Sauder Concert Hall on Sunday, April 10. 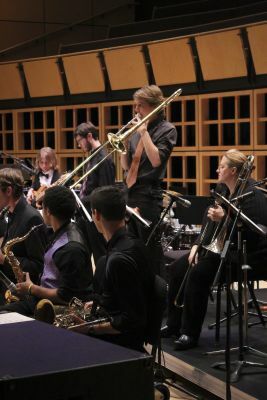 The GCSO’s program included performances of the “Tragic Overture, Op. 81” by Johannes Brahms, and select movements from Tchaikovsky’s Symphony No. 5. The GCSO also performed two works by 20th century Mexican composer Arturo Marquéz. 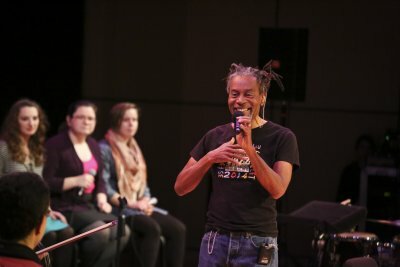 Ten-time Grammy Award-winner Bobby McFerrin performed with the Goshen College Chamber Choir, Associate Professor of Music Jose Rocha, and adjunct music professors Chris French and Ben Runkel for a Valentine’s Day Performing Arts Series concert on Sunday, Feb. 14. 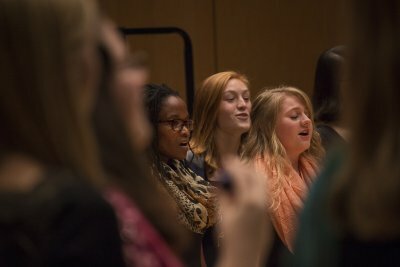 The Goshen College Choirs presented their first concert of the 2016 school year with their annual Winter Choral Concert on Saturday, Feb. 13. 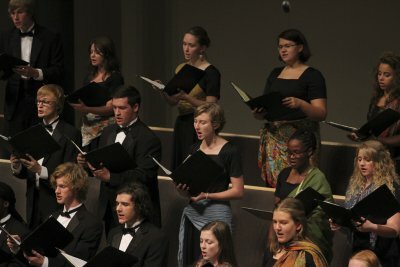 Performing were the Goshen College Chamber Choir, a mixed gender ensemble of 24 singers, directed by Scott Hochstetler. 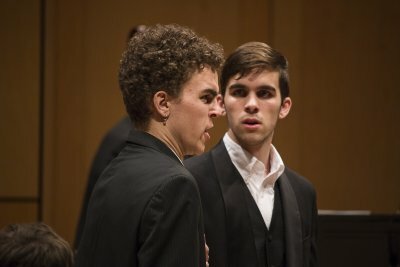 Also performing are the 43-member Men’s Chorus, also directed by Hochstetler, and the 53-member Women’s World Music Choir, directed by Debra Detwiler Brubaker. Seven student winners of the 2016 Goshen College Concerto-Aria Competition performed arias and individual concerto movements with the Goshen College Symphony Orchestra in the 56th annual Concerto-Aria Concert on Saturday, Feb. 6 at 7:30 p.m. in the Music Center’s Sauder Concert Hall. 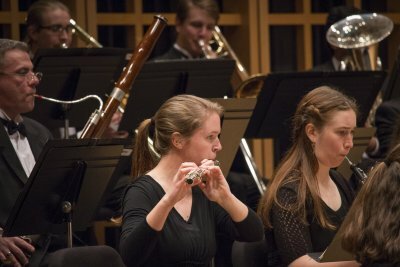 The Goshen College Symphony Orchestra, under the baton of new director José Rocha, presented their fall concert in the Goshen College Music Center’s Sauder Concert Hall on Friday, Nov. 6. 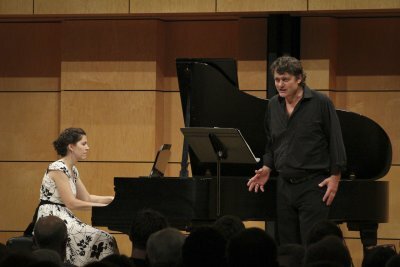 Celebrated Norwegian bass-baritone Njål Sparbo presented “The Songs of Edvard Grieg” on Wednesday, Nov. 4, at 7:30 p.m. in the Goshen College Music Center’s Rieth Recital Hall, joined by Mary Rose Norell, Luke Norell and the Goshen College Chamber Choir. 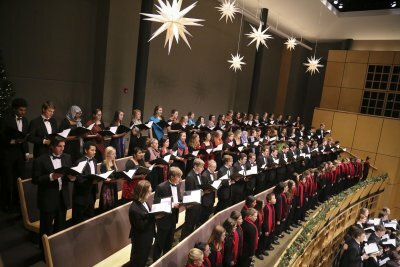 The Goshen College Choirs presented their first solo concert of the 2015-16 school year with their annual Fall Choral Concert on Friday, Oct. 30. 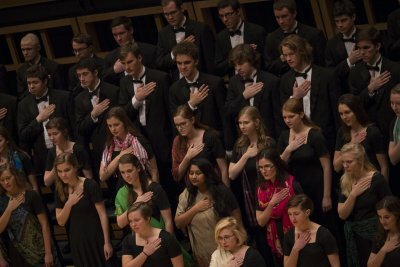 Performing were the Goshen College Chamber Choir and Men's Chorus, directed by Scott Hochstetler, and the Women’s World Music Choir, directed by Marcia Yost.